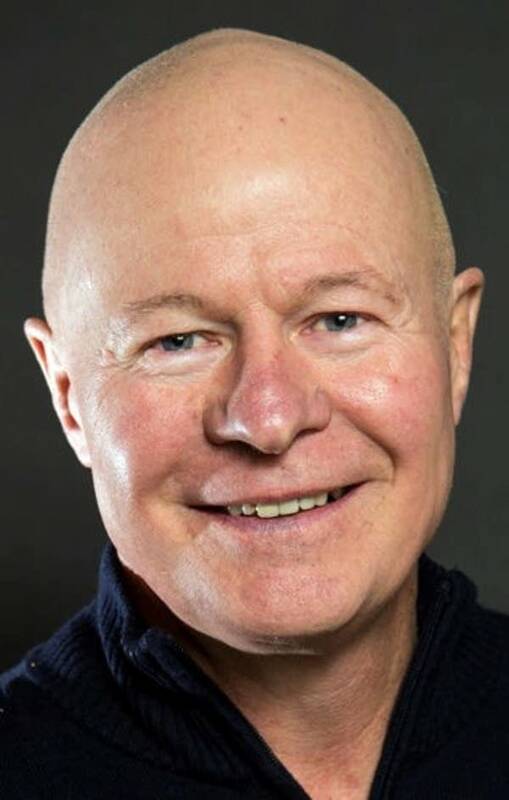 Patrick Keane says he's heard it all while campaigning for the open seat representing Rochester's sprawling first ward on the City Council, most of them typical for a midsized city — concerns about affordable housing, public safety and even emerald ash borer are common. But for some voters, one unusual issue is make-or-break. "There are people who will wait until I finish my spiel, and say 'Do you ride a bike? And if you do, I will not vote for you,'" Keane said. The political heat over bicycles is emblematic of the tensions in this normally staid city of 100,000. This year's elections come at a pivotal moment in Rochester's history. The city is several years into the multi-billion-dollar Destination Medical Center economic development project, and to some degree, the plan has bred conflict and mistrust within the community. Bikes have become one of the flashpoints. Some voters are concerned that more bikers will slow car traffic and that adding bike lanes to streets will deplete the already scarce parking. For his part, Keane said he can see both sides of the issue, but he's surprised at how prominent the issue has become. "You would think that there are people in this city forcing people to get on bicycles when you hear how mad people are about this," Keane said. As voters here prepare to elect a new mayor and fill two open City Council seats, this is shaping up to be an unprecedented election year for Rochester. Sixteen people are running in the primary for the three open seats, which have been long-held by officials whom critics accuse of not being progressive enough for the Rochester of the future — one that's more diverse, more cosmopolitan and focused on smart growth rather than one-off developments. 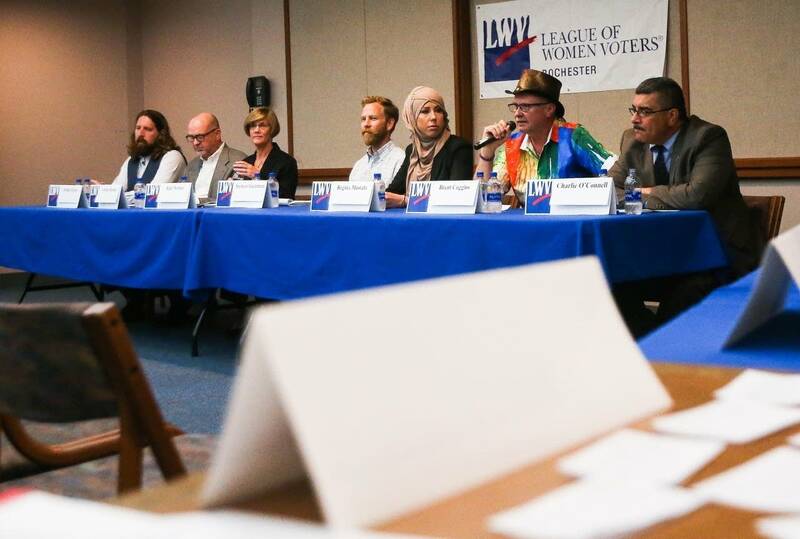 With the mayor's office and two of seven City Council seats up for grabs, candidates say it's an unusual opportunity to help guide the city as it remakes itself. The field of candidates running for local office this year is not only large, but likely the most diverse in Rochester's history. Rochester has never had a woman mayor before. But of the seven candidates running for mayor, two women have raised the most campaign cash without self-financing their campaigns. Community activist Regina Mustafa is one of them. 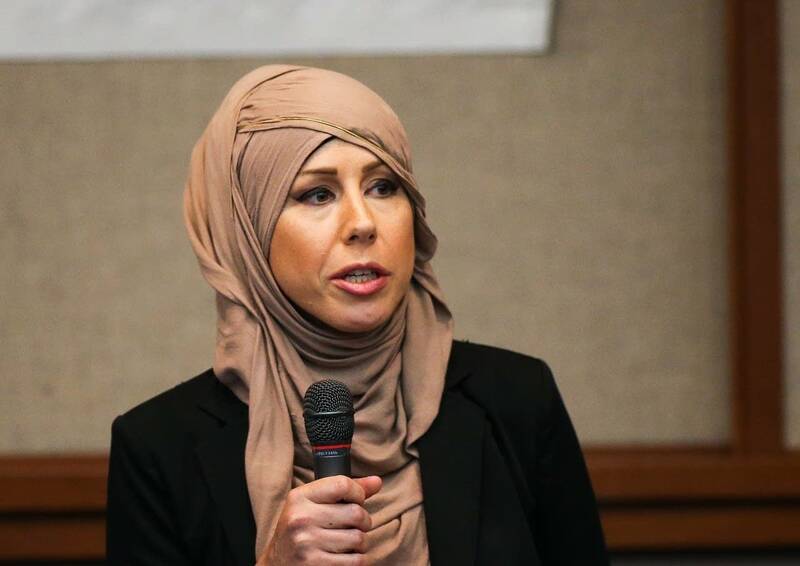 She stands out in Rochester politics not just because of her gender, but because she is Muslim and legally blind, two life experiences that have led her to advocate for people from minority religions and people with disabilities who rely on Rochester's public transportation system. Mustafa also said that the large number of people running for office this year reflects Rochester's growing diversity. "People want to see themselves reflected in their elected officials," she said. 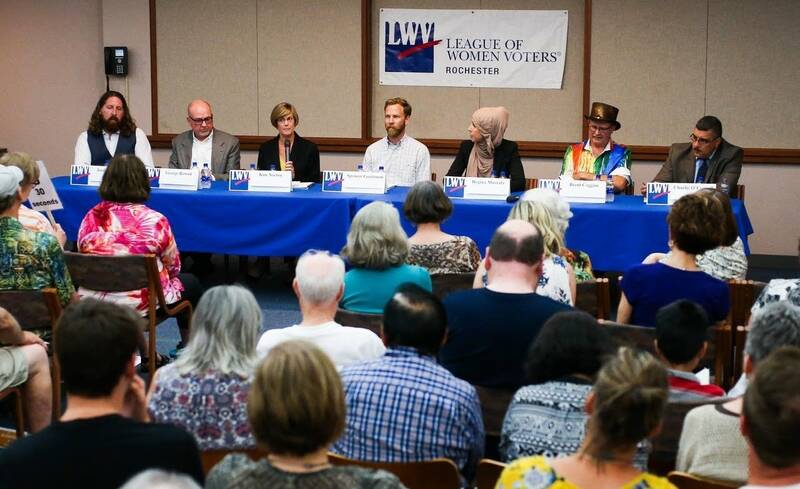 "People want their elected officials to not only speak to their own community, but to be able to relate to all the communities of Rochester," including Somali, Hispanic and European communities, Mustafa said. • 2015: Will millennials dig Rochester's ambitious downtown plan? The other top money-raiser is former state legislator Kim Norton. She arguably has the strongest name recognition of all the candidates after 10 years representing Rochester at the state Capitol. She said the wide field of candidates underscores how the development push has engaged people in the community. "It's an exciting time, and you can see that from the number of people who are running," she said. "With all the changes we know are coming, we are on the cusp of being able to do something different." For Norton, doing something different means, in part, promoting sustainable growth that focuses on a more walkable and bikeable city. The three elected officials retiring from their seats are Mayor Ardell Brede, who has led the city for 15 years, Ward 1 City Council Member Ed Hruska and Ward 5 City Council Member Mark Hickey. Critics have complained they're part of an old guard that's been too hidebound during their time in office, whether it be resistance to more transparent government, new forms of public transportation or policies that support mixed-use development. There have also been several retirements among the city's professional staff. City hall has welcomed a new city administrator, city attorney and city clerk, among others, within the last year. The primary election later this month will cull the candidates for each seat to two. Depending on the outcome, the City Council and the mayor's office could lean toward more progressive policies on government accountability, sustainability, equity and affordability. Mark Bilderback represents Rochester's Fourth Ward, populated with neighborhoods just outside the city center that are home to many of the city's lower-and-middle-income residents. 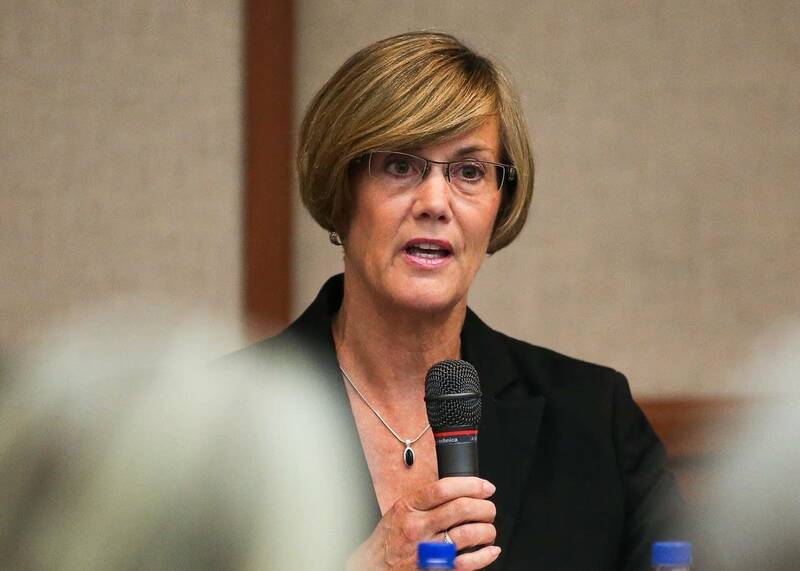 For years, Bilderback has been the swing vote of the City Council. He said that after this year, that may no longer be the case — and he says that would improve the council's decision making. "What it shows to me, unfortunately, is that when I'm consistently a swing vote, we're not having a discussion," he said. "If we can have discussion, it brings better results than what the initial plan is."